India is the home to a third of the world’s poor. The socio economic impacts of a changing climate are already being felt in India as many people struggle for basic resources. Water and it's management will be increasingly important for a country that is experiencing severe droughts and declining groundwater reserves while also suffering devastating floods. Impacts of climate change despite it's economic growth would seriously reduce India's chances and progress in eradicating poverty. Historically not a big Co2 emitter, India's economy is booming at an phenomenal rate. With a government development target of 8 percent GDP and one sixth of the World's population, India's emissions are set to increase, potentially taking the ranking of third largest Co2 emitter in the world by as early as 2015, according to the International energy agency. Despite running to third place, per capita emissions of carbon are one fourth of the global average, with even the wealthiest sector of society in urban areas still ranking well below global average per capita emissions. Like other developing countries when travelling around India and engaging with the populace, most people feel they are not to blame, they are not responsible for anthropogenic climate change. It's the unsustainable consumption of the west that has brought this on. Also, like other developing countries, India is walking a tight rope of economic growth as it's inhabitants will suffer severely from a global +2°C rise in temperature. Dealing with water management now is essential. 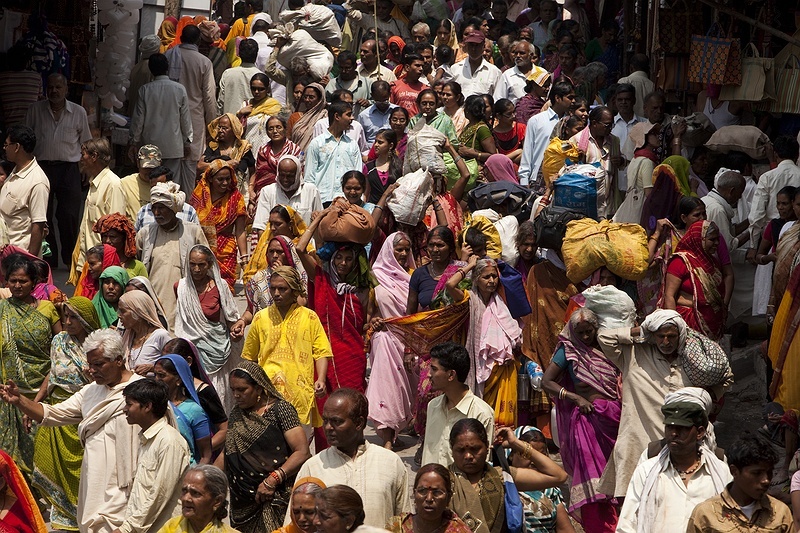 India is set to be the most populous nation in the world by 2045 and already in it's capital Delhi, 1000 people arrive everyday in the hope of work, water and a new life away from the struggles of the country side. India would not be able to cope with a +2°C rise in temperature. In the 2001 report by Kumar and Parikh ' Impacts of Climate Change on Indian Agriculture,' International Review for Environmental Strategies, stated that agriculture would be severely affected with farm level revenue falling by 10 percent and up to 25 percent with a +3.5°C temperature rise. Figures are always debatable and percentages never convey the reality that sea level rise, tidal surges and increased tropical storms, will displace millions of people from coastal areas forcing them from their land to join the already massing armies of economic migrants in the large cities. NATCOM, the Indian government's National Communications department have identified the following future impacts of climate change. A decrease in snow cover affecting snow-fed glacial systems such as the Ganges and Bramhaputra. 70 percent of the summer flow of the Ganges comes from melt-water. India has invested heavily in hydro power so an erratic monsoon will not only affect rain-fed agriculture, peninsular rivers and water, but also power supply. A drop in wheat production by 8 - 10 million tones is estimated with a +2°C rise in temperature. Higher tidal surges are causing displacement along one of the most densely populated coastlines in the world, threatening freshwater sources and mangrove ecosystems. Increased frequency and intensity of floods directly affecting people in coastal, arid and semi-arid zones of the country. With such dramatic changes in precipitation and temperature, over 50 percent of India’s forests could shift in forest type, adversely impacting associated biodiversity, regional climate dynamics as well as livelihoods based on forest products.